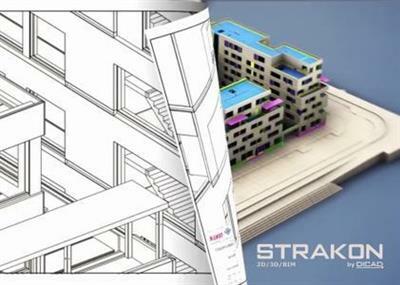 DICAD Systeme announced the release of Strakon Premium 2018, the CAD system for construction engineering and precast concrete construction. New release contains numerous new features for efficient 2D, 3D, and BIM planning in the fields of building construction, civil engineering, industrial construction, bridge and precast construction. About DICAD Systeme GmbH DICAD has been the innovator for engineering offices, precast plants, government authorities and universities for over 20 years. Our unique know-how in construction design and reinforced concrete detailing has made DICAD the leading software supplier in structural engineering. With the development of our powerful CAD-engine STRAKON, DICAD placed a milestone in the building industry. Therefore, STRAKON is the leading reinforcement detailing software. International standards we adhere to and the different languages we employ are a guarantee for the worldwide use of our software.